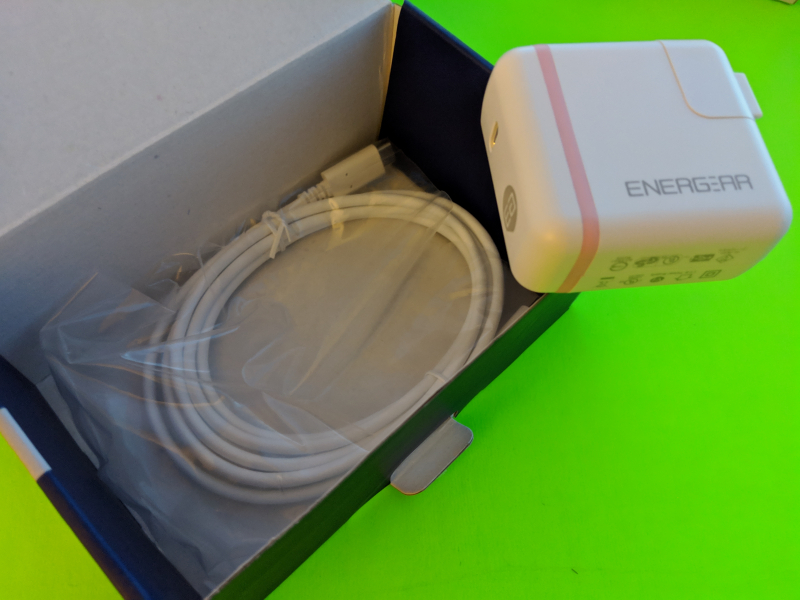 The Energear 27W PD 3.0 with PPS AC Charger was one of the first few charging peripherals in the market supporting USB Power Delivery 3.0 fast charge technology. 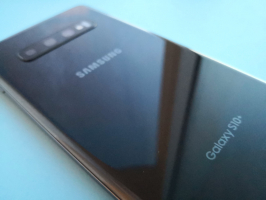 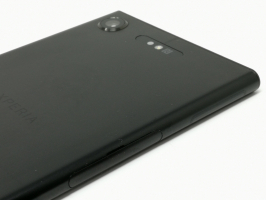 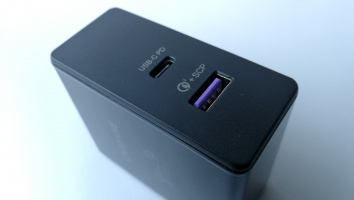 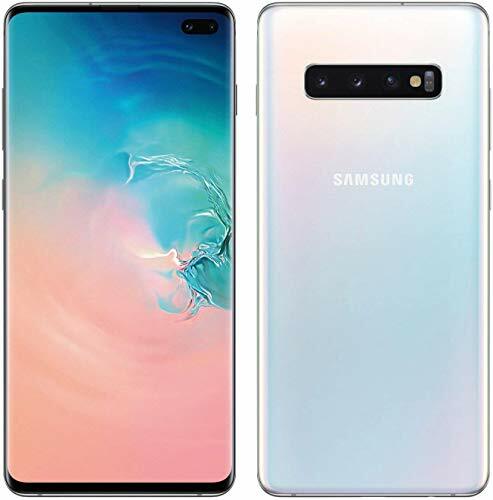 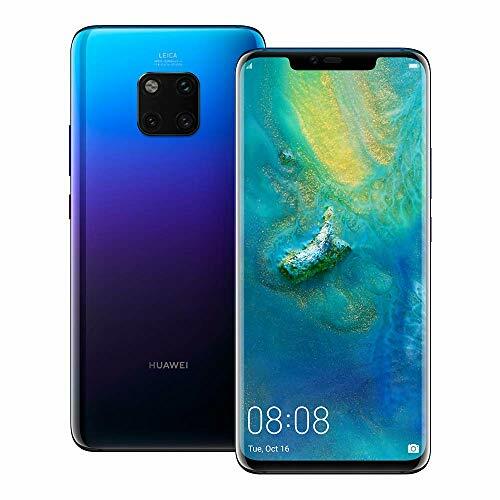  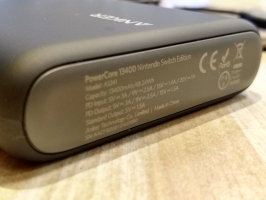 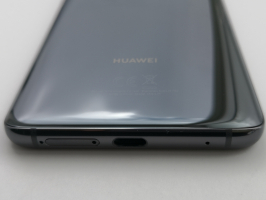 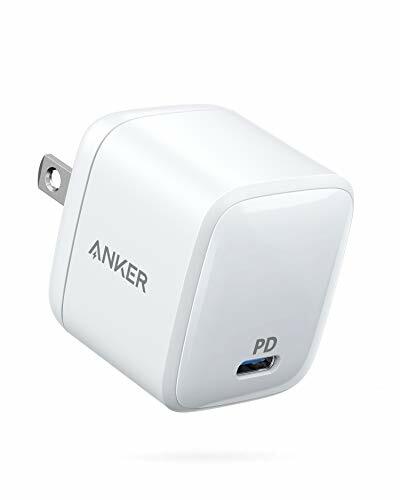 The newer PD 3.0 version should provide more efficient charging at lower temperatures when supplying power to most mobile phones, tablets, and notebook PC's sold today over the USB Type-C port. 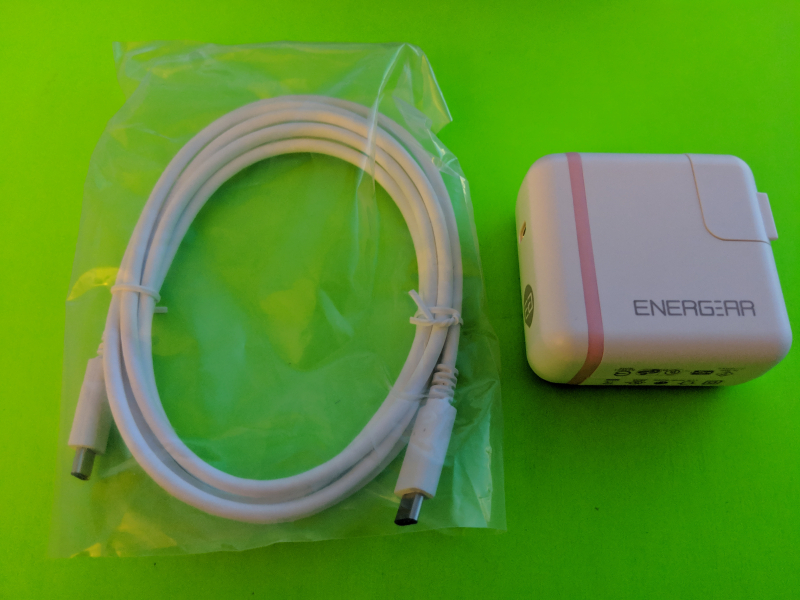 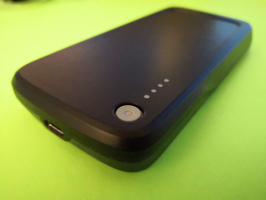 A single port wall charger, the Energear 27W PD 3.0 with PPS AC Charger can output up to 27W of charging to most phones in the market such as the Apple iPhone XS Max or Android phones such as Google's Pixel 3 XL and the Samsung Galaxy S9+ or even tablets and smaller notebook computers like Apple's 11-inch iPad Pro (2018) and MacBook (Early 2016) from its USB Type-C connector. 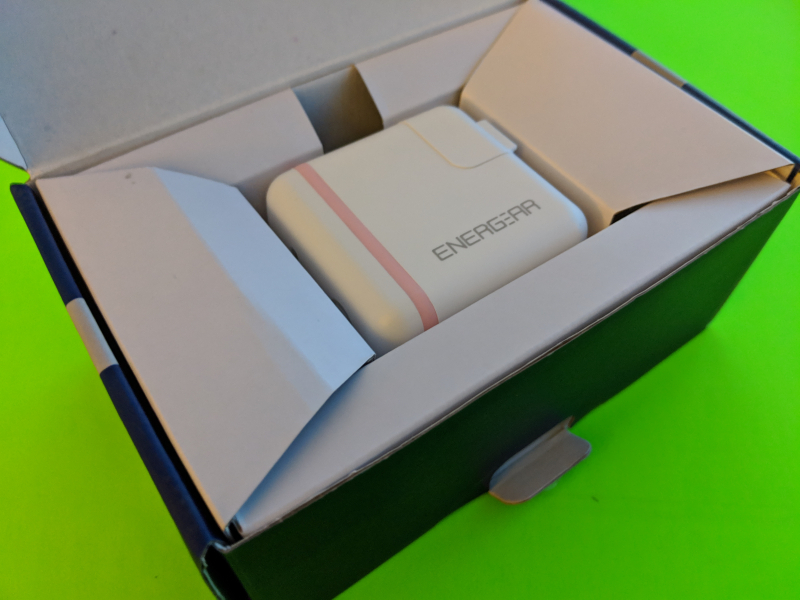 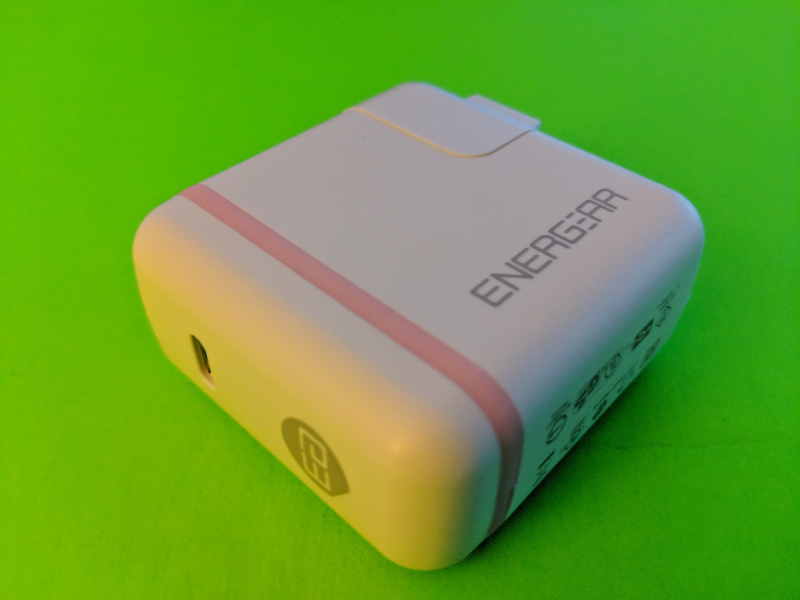 The Energear charger can use USB Power Delivery 3.0 technology over USB Type-C to support Power Data Objects (PDO) protocol negotiation using 15 watts (5 volts @ 3 amps) and 27 watts (9 volts @ 3 amps) power profiles as well as Programmable Power Supply (PPS) of 3.3-5.9 volts @ 3 amps and 3.3-11 volts @ 3 amps. 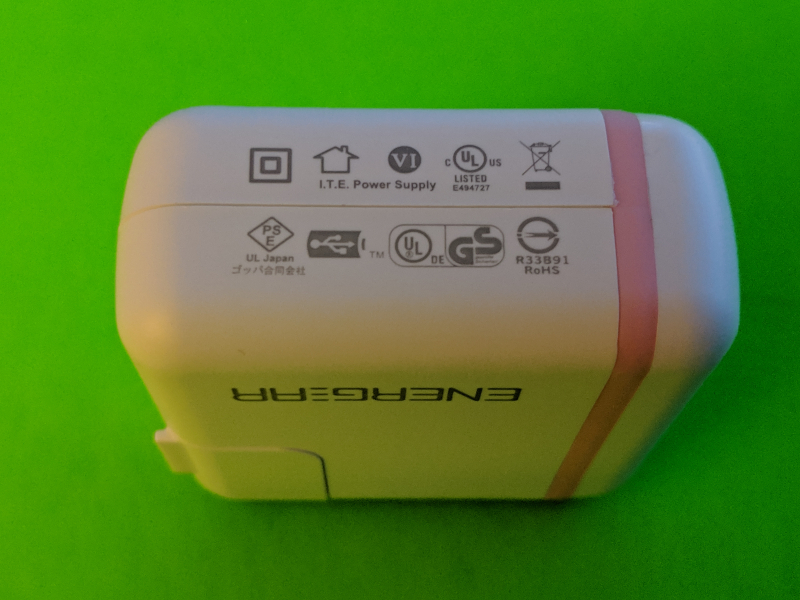 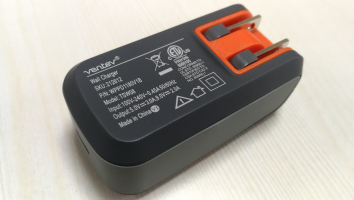 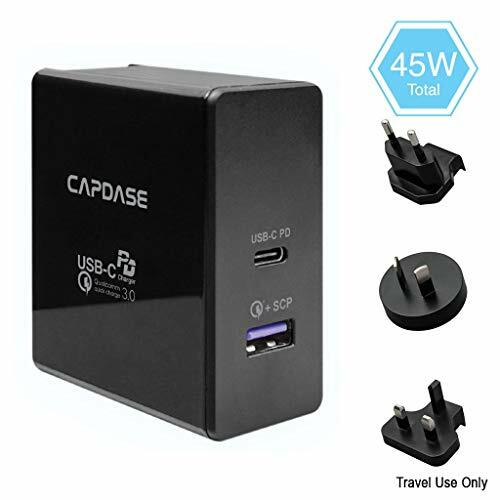 Unlike other chargers from Energear such as the Energear 46W USB-C Wall Charger and Energear 65W PD Charger, the Energear 27W PD 3.0 with PPS AC Charger does not bear a USB certification logo on its packaging to indicate that it has been certified by the USB Implementers Forum. 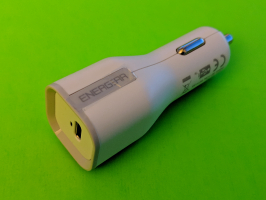 The Energear 27W PD 3.0 with PPS AC Charger has a single USB Type-C port and comes with a USB Type-C to Type-C cable. 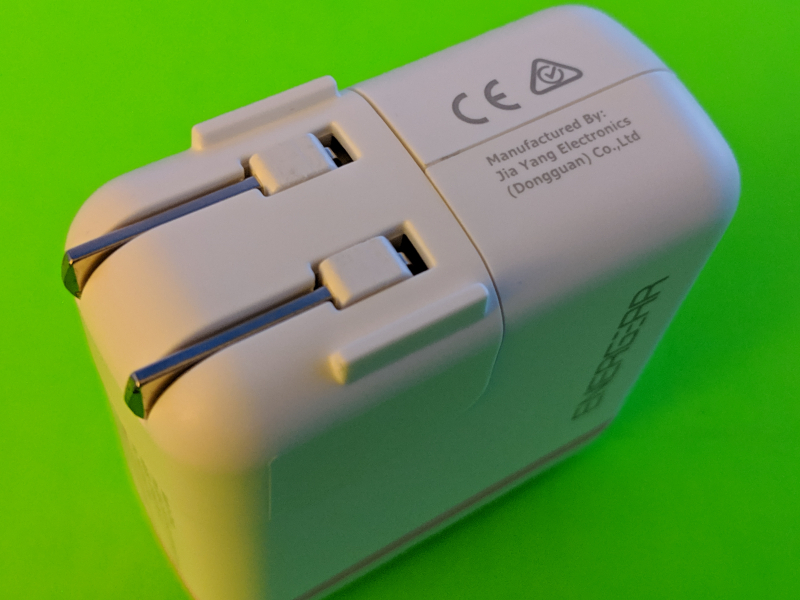 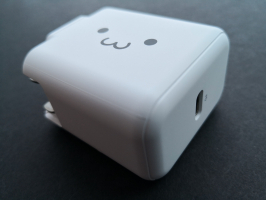 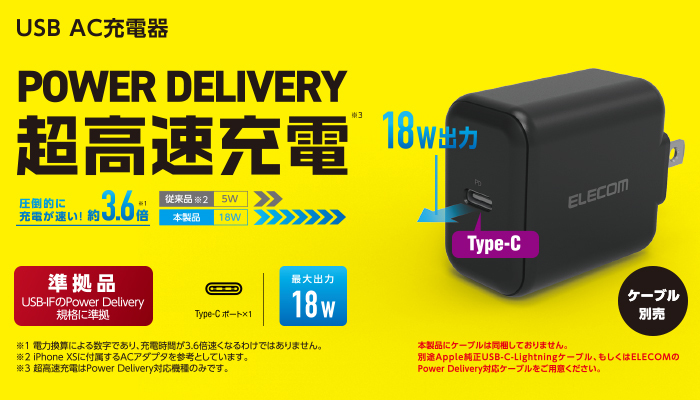 The charger's design is also very much consistent with other Energear AC wall chargers. 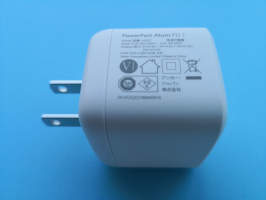 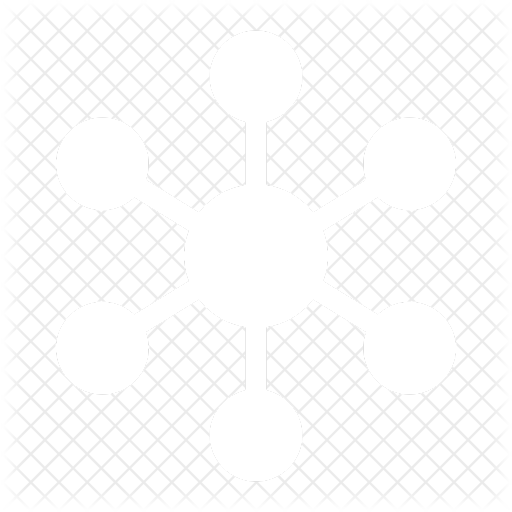 The AC power prongs can be removed to support different regions. 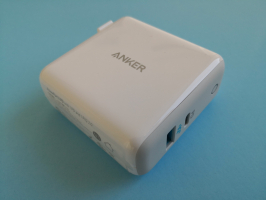 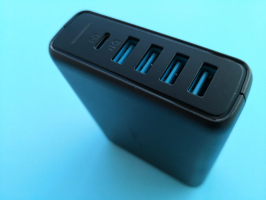 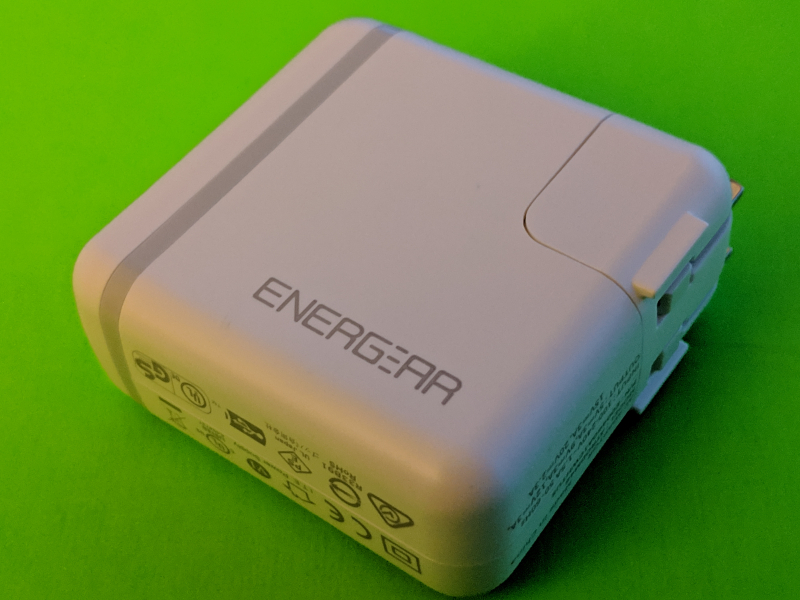 The Energear 27W PD 3.0 with PPS AC Charger is a very compact option if you need USB Power Delivery 3.0 through USB Type-C although it only comes with a single USB Type-C port. 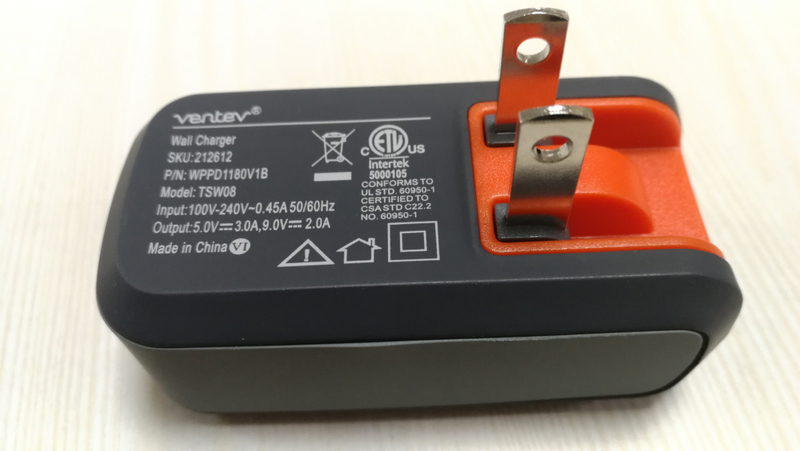 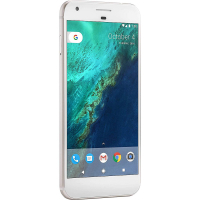 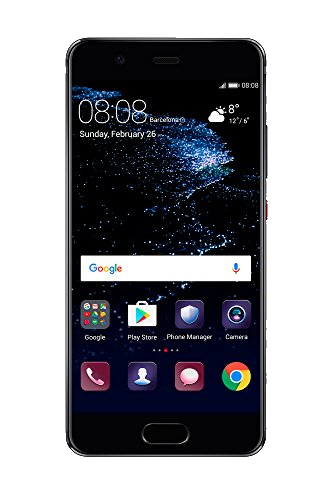 While you will not be able to charge two devices at the same time, the charger has enough power to support most phone and tablet models. 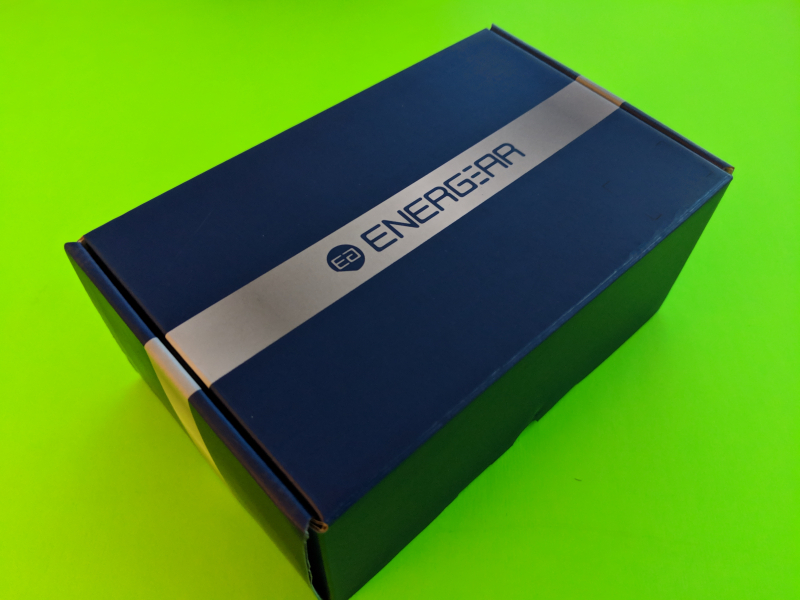 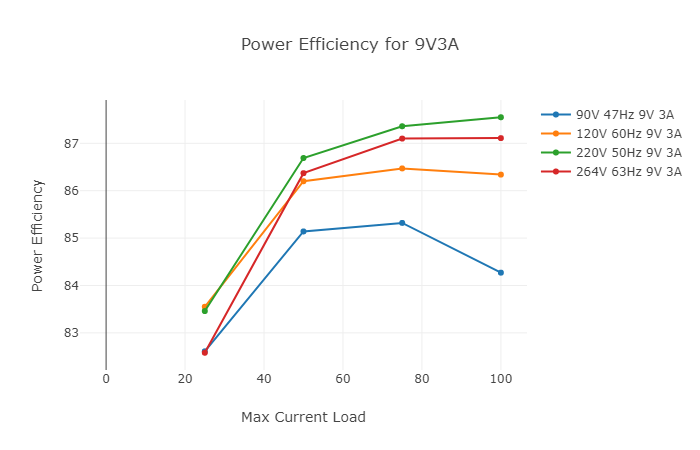 To view more details on the power capabilities of the Energear 27W PD 3.0 with PPS AC Charger, we used the USB Power Test App from Granite River Labs with the Granite River Labs USB Power Delivery Compliance C2 Tester to produce the following test results. 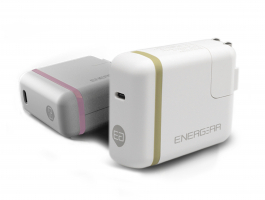 The USB Power Test App first negotiates a power contract for every fixed PDO supported by the Energear 27W PD 3.0 with PPS AC Charger, and increases the load gradually to find the threshold where over current protection (OCP) kicks in and voltage and current start to drop for safety reasons. The USB Power Test App also reports out the fixed PDO's supported by the Energear charger and their OCP thresholds. 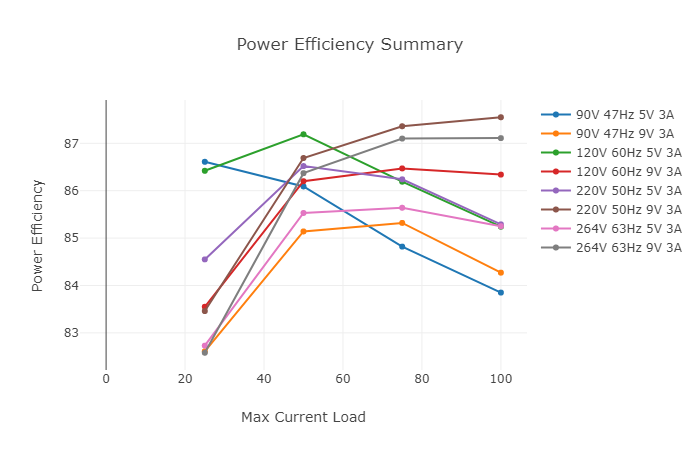 The USB Power Test App takes this data to produce an I-V curve which graphically shows the relationship between voltage and current for each fixed PDO. 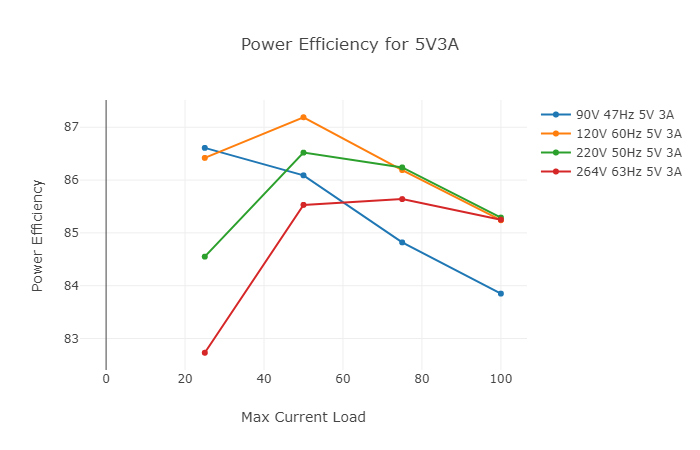 We can observe as the current increases beyond the OCP threshold, the voltage immediately shuts off. 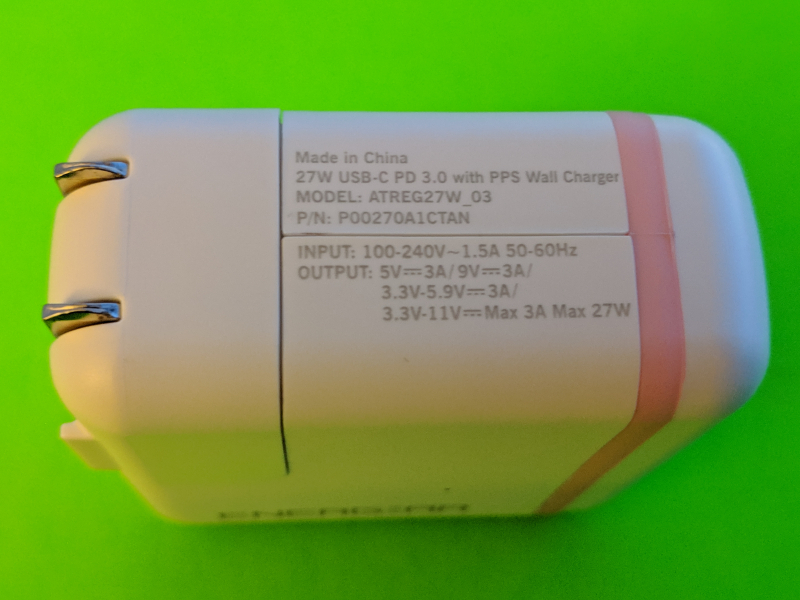 Even though the charger supports PPS, no current fold-back was observed for the fixed PDO's. 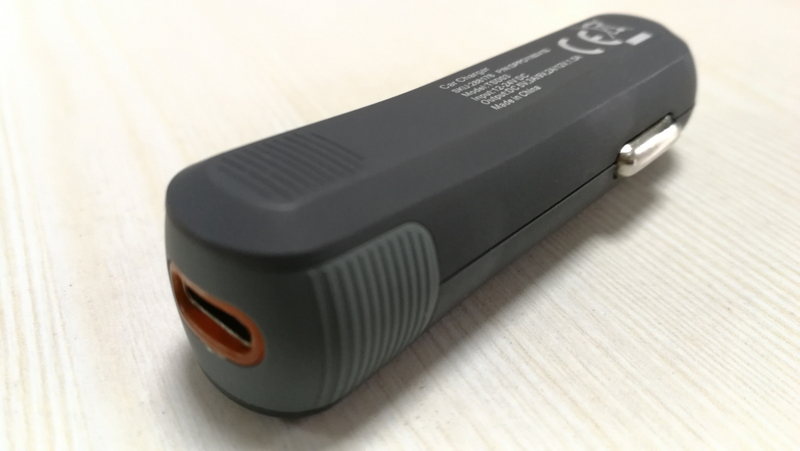 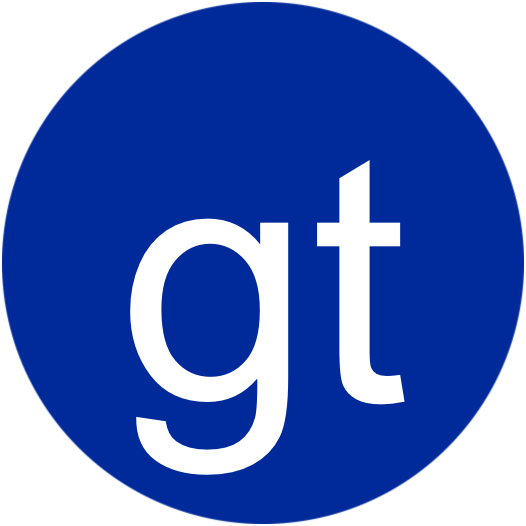 Using the USB Power Delivery Compliance C2 Tester from Granite River Labs to run just a subset of the full USB Power Delivery compliance test suite, a compliance failure was observed for the Energear 27W PD 3.0 with PPS AC Charger.